This past year saw one of the family make a dramatic adjustment in his work for the agency. Brendan Boylan left his full time role in web development to pursue his dream of becoming a teacher. Today he remains a web consultant with the agency, but his primary role is teaching primary numbers as a math teacher to seventh and eighth grade students at the Forestville Charter School. Being a family style business doesn’t mean that we all have to be related. Sean Boylan, our talented graphic artist is also my son, but regardless of the blood connection every employee is considered one of the family, meaning when someone has a celebration, we all celebrate with that person. When there is sadness, we all commiserate together and when one of the family is tackling a problem, we all work together to find a solution. Our clients often become extensions of the family dynamic we hold so dear. Their problems are our problems and we work to resolve those to the very best of our combined abilities. When we have a success story for our clients it is celebrated by everyone of the team. When people make a decision to work with the Boylan Point Agency, we hope that the decision is based on the skills we can offer along with the experience we can share to help them succeed. But we also hope that they recognize the importance of working with an agency that treats them as one of the family and that they understand just how important family is to our company’s culture. 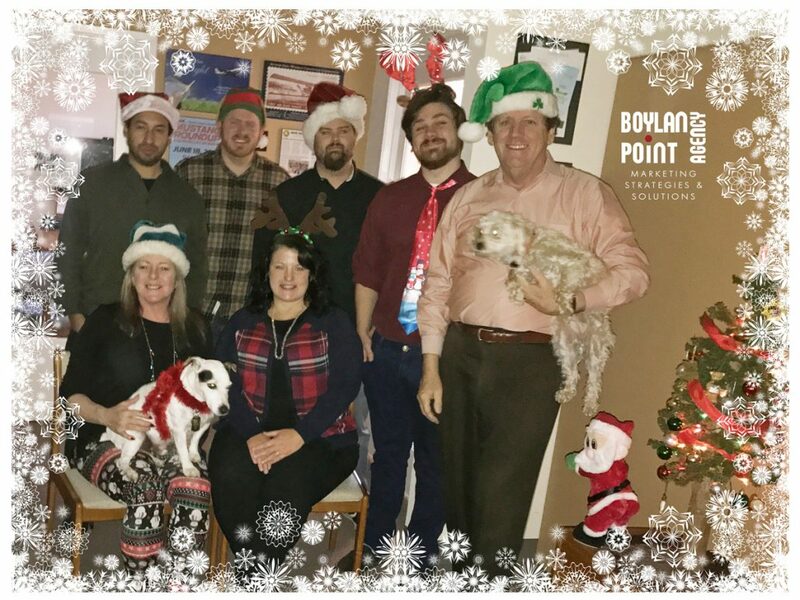 As you celebrate with family and friends for the holidays, know that every member of the Boylan Point Agency is wishing you peace, happiness and prosperity. Thank you, let’s get building!